Other names: Sehora, karora, jindi. Siamese rough bush is a small tree found in tropical countries,such as India, Sri Lanka, Malaysia, the Philippines and Thailand. In India, this plant is found growing throughout the lower Himalayas and also in Peninsular India. 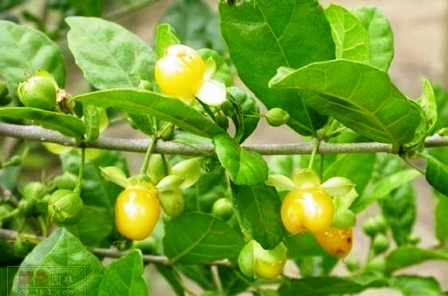 The fruits are edible and popularly eaten by local people. But it is more important as a medicinal plant. A evergreen shrub or gnarled tree upto 15 m high and 1.5 m in girth, having a clear bole of 4-7 m; bark light grey, bluish grey or silvery brown with faint ridges, rough when old, laticiferous, very fibrous. Leaves variable in shape, rough. Flowers unisexual; male heads globose, yellowish green, minute; female flowers solitary or 2-4 together, inconspicuous. Seeds smooth, round and greenish white. The fruits are sweet and are eaten. Tender leaves are lopped and used as a fodder for cattle and elephants. The twigs are chewed to make brushes and are said to cure pyorrhea. 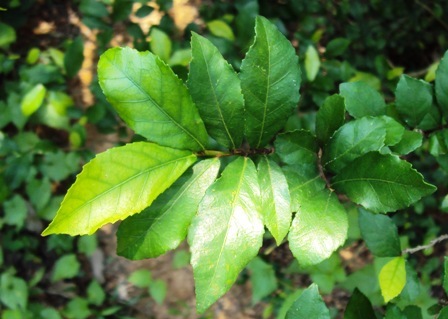 In India, paste of leaves is applied to swellings and buboes, and is given to stop excessive perspiration. 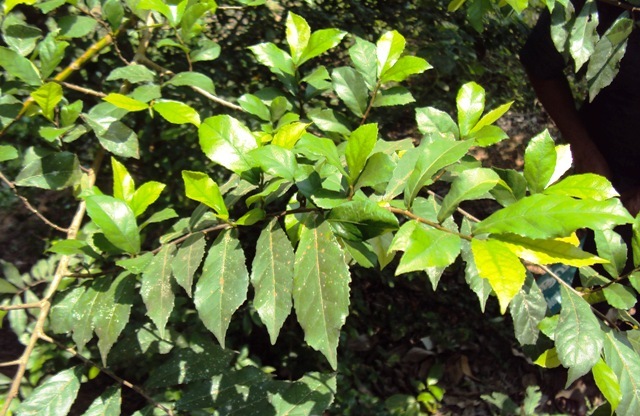 An infusion of leaves is taken as a substitute for tea. A poultice of the roots is applied to ulcers, sinuses, inflamed swellings and boils. The powdered root prescribed in dysentery. 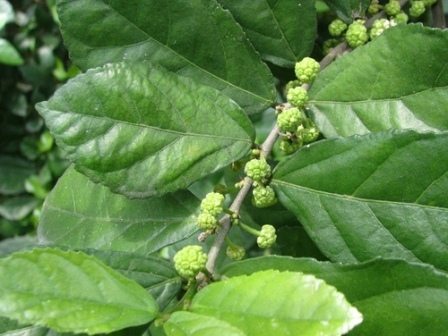 Latex of this plant possesses astringent and antiuseptic properties and is applied to sore heels, chapped hands and glandular swellings. Seeds are said to be useful in piles and diarrhea. A paste of seeds is applied in leucoderma. The trees of Siamese rough bush grow only in wild and are not planted yet.